Shaayaan Tafazoli (شایان تفضلی) began his one-year sentence in Mashhad prison on November 26. He is one of four Bahais from Mashhad who were sentenced to one year in prison by Judge Soltani ( قاضی سلطانی) in February this year. They were arrested in were arrested on July 8, 2014, following a raid on a Bahai religious meeting. The other three detainees in that case are Dori Amri (دری امری), Saaqi Fedaa’i (ساقی فدایی) and her mother Mey Khalusi (می خلوصی). They were charged with propaganda against the regime. 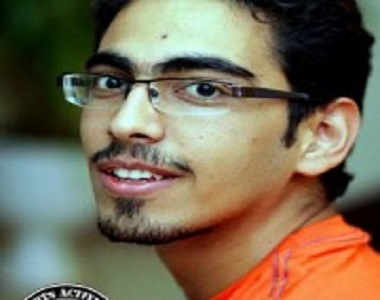 Shaayaan Tafazolli was also among the eight Bahais arrested in February 2012, in relation to a handcrafts exhibition organised by Bahai youth in Mashhad. The photograph dates from that time. Campaign for prisoners of conscience, November 1, 2018. Saqi Feda’i (ساقی فدایی) and her mother Mey Khalusi (می خلوصی) began one-year prison sentences in Mashhad on October 31. 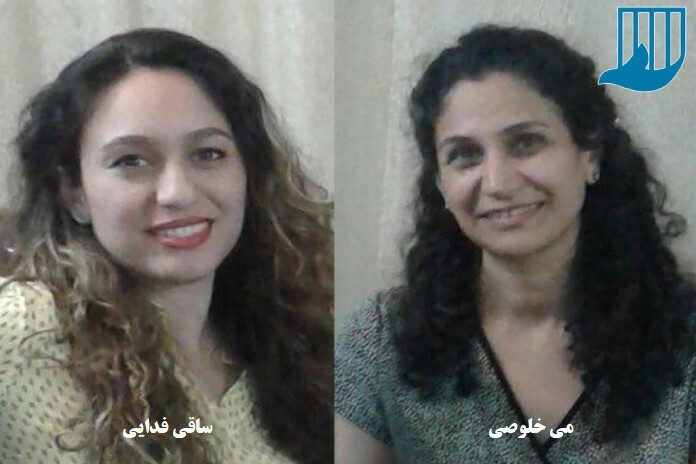 They were charged with “propaganda against the regime.” They were arrested, along with two other Bahais, in a raid on a Bahai religious meeting in Saqi Feda’i’s home on June 1, 2014. During the raid some religious books were seized. Nika Khalusi (نیکا خلوصی) has been released from prison in Mashhad at the end of her 5-year term. She began her sentence on April 30, 2014. 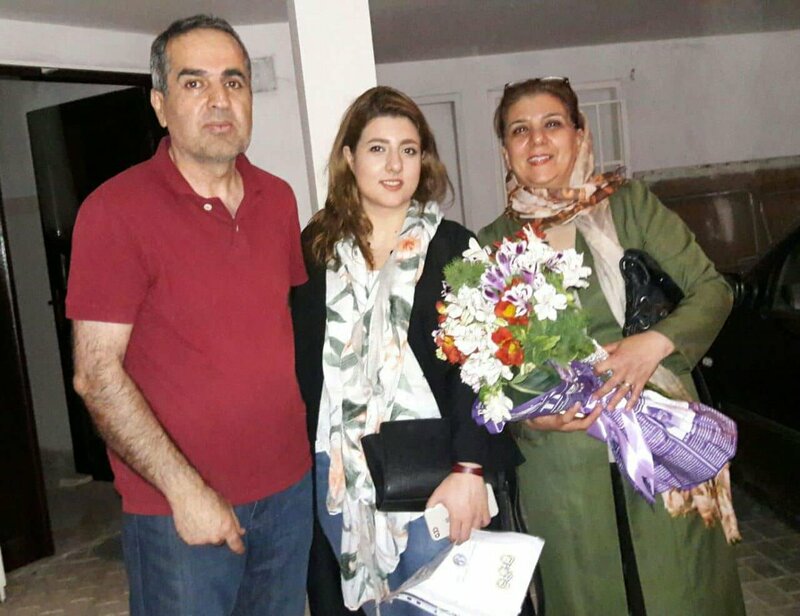 She and her sister Nava (نوا خلوصی) were sentenced for “membership of the Bahai organisation, participation in illegal Bahai activities, and propaganda in favour of the Bahais and against the regime of the Islamic Republic.” Nava Khalusi, sentenced to four and a half years, was released on September 4, 2017. Their father, Manuchher Khalusi (منوچهر خلوصی) was released on July 31, 2017, at the end of a one-year sentence. Fataneh Nabilzadeh (فتانه نبیل‌زاده), who has been sentenced to one year in prison for her association with the Bahai University (BIHE), was taken to prison in Mashhad on July 16. The BIHE is a distance-learning institute that offers education to Bahais, who are excluded from both state and private tertiary institutions under Iran’s form of apartheid. Educating Bahais is against state policies, although technically it is not against the law, since the policies are not published. On August 13, 2013, as part of a series of raids on the BIHE across Iran, security forces raided her home, searched it, and arrested her, along with two students who were taking an exam: her son Peyman Saraf (پیمان صراف) and Dayan Teymouri (دایان تیموری). The two students were bailed on September 5, but Mrs. Nabilzadeh was held for two months before being released on bail. In January 2018 she was sentenced to one year in prison for her educational activities. Mahvash Zaeri, citing Shahrvandyar, May 27, 2018. Kaviz Nuzdehi ( کاویز نوزدهی ), a Mashhad Bahai, was released on bail on May 27. He was arrested by agents from the Ministry of Intelligence on May 2, and has has previously served a two-year prison sentence, from July 2010 to June 2012. That time, the charges against him were propaganda against the regime, endangering national security, membership and activity in the Bahai Faith, etc. He has been the subject of speculation by Damavand News, which identified him as — probably — the unidentified Bahai whom the Deputy Prosecutor of Mashhad claimed was held for links to the Mujahedin (MKO, and organisation that has practiced and preached revolution and violence). Given that he has been released on bail after one month in detention, that identification now looks very unlikely. Damavand News, May 22, 2018. Hasan Heidari (حسن حیدری), Deputy Prosecutor of Khorasan Razavi Province has claimed in an interview with the local website of Mashhad (capital of the Province) that an unnamed Bahai has been arrested in Mashhad by the Ministry of Intelligence, under a special judicial order referring to the “arrest of the leadership of the hypocrite terrorist organisation.” The term is usually Iranian code for the People’s Mujahedin of Iran (MKO), which has advocated revolution and violence. Mr. Heidari said that the Bahai had been accused of collaborating with a political organization, and that “this individual had sought to provide broader grounds for activities to undermine security, by promulgating and misusing the demands of the industry guilds that are part of the Iranian system.” In other words, he was a worker’s rights activist. Iran has seen widespread worker protests, strikes and market shut-downs in recent weeks, and the tactic of connecting these to an external terrorist organisation and/or the Bahais may be a device to divert attention from the grievances of workers and small shop-keepers (who close their shops as a form of protest). Damavand News, which reports this interview, expresses reservations that it has the whole picture, and the story as reported raises a number of questions. In the first place, did the Deputy Prosecutor intend to refer to the Mujahedin or is it hyperbole for the Green Movement? The accusation of “links to a political group” seems unusually mild if the Mujahedin was intended. In the second place, the only Bahai known to have been arrested in Mashhad recently is Kaviz Nuzdehi ( کاویز نوزدهی ), arrested on May 2. Damavand News cites a source saying that, given the timing, the reference can only be to Mr. Nuzdehi. But another possibility is that the Deputy Prosecutor did not have any specific Bahai in mind. Claims that a group of Bahais have been arrested for this an that – without specifics – are sometimes made by officials seeking to assure the public that they are doing their jobs by keeping the Bahais under pressure. Generally speaking, no specifics or trials follow from such claims. Reliable reports of the actual persecution of Bahais in Iran always comes from family members and associates, not from official statements, and contain names, dates and other specifics that can be checked. Radio Zamaneh (web site), May 11, 2018. Mahsa Mahdavi (مهسا مهدوی) was released from Vakil Abad Prison in Mashhad on May 10, after serving an 8-month sentence for her Bahai beliefs. 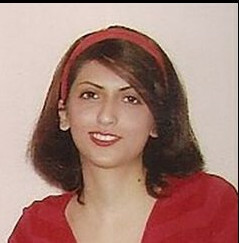 She was one of four Bahais arrested in Mashhad in September, 2012, who were sentenced in May, 2013: her sentence was the shortest. They were accused of teaching the Bahai Faith, propaganda against the regime and membership of Bahai organisations. Hamid Rezatipour, May 2, 2018. Kaviz Nuzdehi ( کاویز نوزدهی ), a Mashhad Bahai, was arrested on May 2. Agents searched his home and seized a computer, books and laptops. He has previously served a two-year prison sentence in Vakil Abad prison, from July 2010 to June 2012. That time, the charges against him were propaganda against the regime, endangering national security, membership and activity in the Bahai Faith, advocating contact with foreigners after traveling outside the country, participating in illegal organisations, and producing and distributing Bahai CDs and books. One-year sentences have been announced in four cases dating back to late 2014, involving Bahais in Mashhad. Dari Amri (دری امری), Shayan Tafazoli (شایان تفضلی), Saqi Feda’i (ساقی فدایی) and her mother Mey Khalusi (می خلوصی) were sentenced by Judge Soltani ( قاضی سلطانی). They were charged with propaganda against the regime. A month ago, Fataneh Nabilzadeh (فتانه نبیل‌زاده) was also sentenced to one year in prison in Mashhad: her arrest and sentencing was not previously reported on Sen’s Daily. The four who are most recently sentenced were arrested on July 8, 2014, following a raid on a Bahai religious meeting in the home of Saqi Feda’i on June 1. They were held by the Ministry of Intelligence until early August, before being taken to prison and eventually released on bail. They were tried on December 17, 2014, but the sentences have only now been announced. Payam News (Facebook), October 4. Navid Aqdasi (نوید اقدسی), Yahvah Haqiqat Mehlabani ( یاور حقیقت مهلبانی), Helia Moshtaq (هلیا مشتاق), Nava Monjazeb Qamasari (نوا منجذب قمصری) and Negar Baqeri Tari’ (نگار باقری طاری ) have been sentenced to five years in prison for their Bahai beliefs. The sentence, in the “magistrate’s” court will be reviewed in the Provincial Court of Review. They were among 20 Bahais who were arrested in Tehran, Isfahan and Mashhad on November 15, 2015, two of whom were released within a few hours. In April this year it was announced that Khoshayar and Shayan Tafazolli ( خشایار و شایان تفضلی ) and Sina Aqdas-zadeh ( سینا اقدس زاده ), Bahais from Mashhad, were sentenced by Judge Mansouri (قاضی منصوری) to one year in prison on charges of propaganda against the regime. However the latest report — probably revised following the Court of Review’s ruling, but the report says it comes from the Revolutionary (ideological crimes) Court — is that Shayan Tafazolli was acquitted, and the other two received a one-year sentence to be suspended for five years. Payam News (Persian, Facebook), September 10, 2017. Mehta Iqani (مهتا ایقانی), a Bahai from Mashhad who was arrested on September 2, has been released on bail after 9 days in detention. There is still no information about the reason for her detention. Payam News (Persian, Facebook), September 5, 2017. Nava Kholousi (نوا خلوصی) was released from Vakil Abad prison in Mashhad on September 4, at the end of her sentence of four and a half years for “membership of the Bahai organisation, participation in illegal Bahai activities, and propaganda in favour of the Bahais and against the regime of the Islamic Republic.” She began her sentence on March 17, 2014 along with her sister Nika Kholousi (نیکا خلوصی) who is still serving a six-year sentence [This report says, six and a half years] in Vakil Abad prison. They were first arrested on September 6, 2012, and were detained for 185 days before being released on bail. Their father (منوچهر خلوصی) (pictured) has been arrested six times because of his Bahai beliefs, and imprisoned several times. In 1999 he was sentenced to death, but the verdict was later declared invalid. He is at present free. Payam News (Persian, Facebook), September 2, 2017. Mehta Iqani (مهتا ایقانی), a Bahai from Mashhad, was arrested today following a four-hour interrogation at the Police Intelligence offices there. She had responded to a summons to go to the office. She is being held in the women’s section of the police jail. She had been summoned three times in the past week, when she was in Tehran and unable to attend. The police have not explained the summons to her or her family, as they themselves have no information. Mrs. Iqani’s husband Arman Mukhtari ( آرمان مختاری ) was one of a number of Bahai youths arrested in February 2012, for participating in a handcraft exhibition in Mashhad to raise funds for the disadvantaged. They were eventually charged with propaganda against the regime in the form of teaching the Bahai Faith, and membership of the Bahai community. 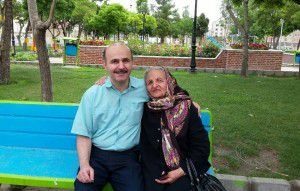 Mr. Mukhtari was sentenced to 6 month in prison, and has served his sentence. On August 17 this year he was again arrested, and was freed on bail of 50 million tumans (12,000 euros ; $US15,000) four days later. Payam News (Facebook, Persian), August 23, 2017. Neda Mokhtari (ندا مختاری ), a 21-year-old Bahai from Mashhad, was released on August 21. Bail was set at 50 million tumans (12,800 euros ; $US 15,000). She was arrested in her home on August 17, when agents from the Intelligence branch of the Police (the NAJA) came to her home and searched it, seizing personal effects, books, mobile phones and a laptop computer. Payam News (Persian, Facebook), August 17, 2017. Neda Mokhtari (ندا مختاری ), a 21-year-old Bahai from Mashhad, was arrested in her home on August 17. Agents from the Ministry of Intelligence came to her home and searched it, seizing personal effects, books, mobile phones and a laptop computer. They arrested here and took her away. Her family believe she is being held in the Ministry of Intelligence’s detention facilities in Mashhad. Human Rights in Iran (Persian), July 31, 2017. Manuchher Khalousi (منوچهر خلوصی) was released from Vakil Abad prison in Mashhad on July 31. He began serving a 1-year sentence on October 6, 2016. His daughters, Nika and Nava Kholousi (نیکا و نوا خلوصی ), are serving sentences of six years and four and a half years, respectively, on charges of membership of the Bahai organisation, participation in illegal Bahai activities, and propaganda in favour of the Bahais and against the regime of the Islamic Republic. In 1999, Mr. Kholousi was sentenced to death for being a Bahai. This sentence was later reduced to one year in prison, by which time he had already served 19 months in prison. Khoshayar and Shayan Tafazolli ( خشایار و شایان تفضلی ) and Sina Aqdas-zadeh ( سینا اقدس زاده ), Bahais from Mashhad, have been sentenced by Judge Mansouri (قاضی منصوری) to one year in prison on charges of propaganda against the regime. Shayan Tafazolli was among the eight Bahais arrested in February 2012, in relation to a handcrafts exhibition organised by Bahai youth in Mashhad. On July 11, 2012, security forces searched the homes of these three Bahais and arrested them. Sina Aqdas-zadeh was detained by the Ministry of Intelligence for 47 days, Shayan Tafazolli for 46 days, and Khoshayar Tafazolli for 23 days, before they were released on bail of 100 million tumans (at the time, 65,000 euros; 81,000 US dollars). They were tried in January this year, and the sentences were announced on April 22. Shayan Tafazolli has been arrested on two other occasions, on February 17, 2012, when he was held for 66 days, and June 2, 2014. Bahai News (Persian), February 1, 2017. Sougol Kazemi-Bahnamiri (سوگل کاظمی بهنمیری) has been expelled from the Non-Profit University in Mashhad, where she had reached the fifth semester of a Bachelor’s degree in Civil Enginering, because of her Bahai beliefs. The discovered she had been expelled when she tried to access her personal page on the University’s web site on January 23. Her access was blocked. She went first to the IT services department, who sent her to the Education Office, who knew nothing about her expulsion. That office sent her back to the Director of the Education Office, who made further enquiries with the National Organisation for Educational Testing, who said that her student portal had been closed, but this was to be confidential. When she asked whether she had been expelled, the Education Office told her, “No, but until the Testing Organisation says that the problem with your file has been resolved, you are barred from further study and cannot follow classes in the coming semester.” She then went to the Ministry of Education and the Testing Organisation, but as of January 28 she had received no response, and there has also been no official documentation of the her expulsion. Sonya Ahmadi ( سونیا احمدی ) was released from Vakil Abad prison in Mashhad on August 17. She began serving her 5-year sentence, on charges of teaching the Bahai Faith and membership of the Bahai community, on September 2, 2012, but she was released early on January 10, 2014, with the promise that her complete freedom would follow. However on April 10, 2014, she was telephoned to say she would have to continue serving her prison sentence. Bahai News (Persian), June 21, 2016. Mo’in Muhammadi (معین محمدی), a Bahai student, has completed an undergraduate course in biomedical engineering at the Imam Reza University in Mashhad, and, based on a provisional Bachelor’s certificate, has been accepted to study for a Master’s degree. However university officials then refused to issue his Bachelor’s certificate, saying initially that they had lost his files. Mr. Muhammadi pursued his case, even going to Tehran, but he was subjected to months of bureaucratic buck-passing. In the meantime, in the winter of 2014-2015, Mr. Muhammadi sat the entrance examination for the Master’s course, and was accepted for a course in Electricity of Telecommunications at the Imam Reza University. When he went to register, in August 2015, the Office of Education, the security office, and the Chief of Security told him that, as a Bahai, he did not have the right to register or attend university. Bahai News (Persian, facebook), January 8, 2015. Nakisa Hajipour (نکیسا حاجی پور), a Bahai from Mashhad, was released from Vakil Abad prison on January 7. Mrs. Hajipour was one of 20 Bahais arrested in Tehran, Isfahan and Mashhad on November 15, 2015. It appears she has been released on bail pending her trial. Bahai News (Persian, Facebook), December 16, 2015. Faraneh Daneshgari (فرانه دانشگری), one of the Bahais arrested in widespread raids across Iran on November 15, was released on bail in Mashhad on the evening of December 15. Bahai News (Persian, Facebook), December 15, 2015. Sanaz Es’haqi (ساناز اسحاقی), one of the Bahais arrested in widespread raids across Iran on November 15, was released in Mashhad yesterday. Iran Wire (English), November 16, 2015. On the morning of Sunday, November 15, Iranian Intelligence Ministry agents arrested 20 Bahais in Tehran, Isfahan and Mashhad. They also closed down Bahai-run businesses in the Province of Mazandaran. Among those detained was Nakisa Hajipour (نکیسا حاجی پور), who was detained at Mashhad railway station after Intelligence Ministry agents arrived at her home with an arrest warrant and were told she was traveling. According to an informed source who spoke to IranWire, she was prevented from boarding the train and arrested. Also arrested in Mashhad were Nika Pakzadan (نیکا پاکزادان), Faraneh Daneshgari (فرانه دانشگری), Sanaz Es’haqi (ساناز اسحاقی) and Naghmeh Dhabihayan (نغمه ذبیحیان). They were all arrested at their homes. In Isfahan, agents arrested Yeganeh Agahi (یگانه آگاهی), Adib Janamian (ادیب جانمیان), Keyvan Nik-A’in (کیوان نیک آیین), Parvin Nik-A’in(پروین نیک آیین), Vahid Karami (وحید کرمی), `Arsheya Rouhani (عرشیا روحانی) and Zarin Aqa-Baba’i (زرین آقابابایی). They also arrested Sahab Rouhani (سحاب روحانی) and Matin Janameyan (متین جانمیان), but released them after several hours. In Tehran, agents arrested Helia Moshtaq (هلیا مشتاق), Negar Baqeri-Tari (نگار باقری طاری), Sahba Farnoush (صهبا فرنوش), Nava Monjazeb (نوا منجذب), Yavar Haqiqat (یاور حقیقت) and Navid Aqdasi (نوید اقدسی). Navid Aqdasi is a cousin Mr. Ataollah Rezvani ( عطاءالله رضوانی ), murdered two years ago in the Persian Gulf port of Bandar Abbas. Navid Aqdasi has actively pursued his cousin’s case and talked to the media about it. As a result, he has been threatened a number of times, including in recent months, when vandals have posted threatening graffiti on the walls of his house. So far, no information has been made available about the charges against the Bahais. Their families have not been informed of their whereabouts. According to reports, it is likely that the prisoners have been taken to detention centers run by the Intelligence Ministry in their respective cities. On the same day of the arrests took place, the Bureau of Public Places in the province of Mazandaran sealed and shut down 23 businesses belonging to Bahais in the cities of Sari, Qa`em Shahr, Tenakbon and Babolsar. This followed the businesses being closed on Saturday, November 14, a religious holiday for Bahais. Authorities have in the past objected to Bahai businesses observing holy days, threatening them with closure if they failed to keep the same business hours as non-Bahai shops and services. Two days prior to the closure of Bahai businesses in Mazandaran, authorities also closed all Bahai businesses in the city of Rafsanjan in the southeastern province of Kerman. Among the businesses closed were shops selling cosmetics, health products, musical instruments, eyeglasses, clothes, tires and toys, and businesses offering refrigerator maintenance, photography and photocopier services. Bahais in Iran are barred from employment in most public sector jobs and many private sector jobs, with the result that many depend on small shops and workshops. Shop and office owners were given no notice of the closure. In some cases, they were not even aware of the operation until some hours later. The town of Babolsar was the only exception. [That is, notice of closure was given in Babolsar. The ٍEnglish report on Iran Wire is incorrect on this point ~Sen]. The nature of the simultaneous arrests and closure suggests a planned operation, ordered and organized by the Intelligence Ministry. – Sari: Three optician’s shops run by Dhekrollah Rahimeyan (ذکرالله رحیمیان), Farid Alavi (فرید علوی), Behzad Zabihi (بهزاد ذبیحی) and Bozorgmehr Hor (بزرگمهر حر), the cosmetics shop of Ehsanollah Sana’i (احسان الله سنایی), and the clothing shops of Aramesh Zohouri (آرامش ظهوری) and Houshmand Goli (هوشمند گلی). – Qa`em Shahr: cosmetics and health products workshops run by Nima Miri (نیما میری) and Changiz Darakhshanian (چنگیز درخشانیان), a toyshop run by Bijan Nokhah (بیژن نوع خواه), a grocery operated by Dhekrollah Baba’i (ذکرالله بابایی), the optician’s shops of Soheil Haqdoost (سهیل حق دوست) and Zahra Golabian (زهرا گلابیان), the tire (or appliance?) business of Farzad Sabeti (فرزاد ثابتی) and a photocopy shop belonging to Shahin Sana’i (شاهین سنایی). – Tenakbon: The home security workhops of Omid Qaderi (امید قادری), the air conditioning workshops of Farhad Taqipour (فرهاد تقی پور) and of Michele and Armin Esma`ilpour (میشل و آرمین اسماعیل پور) and the refrigeration service business of Ruhollah Iqani (روح الله ایقانی). – Babolsar: The musical supplies business of Mithaq Leqa’i (میثاق لقایی), the photography business of Nasser Mir-Mohammadi (ناصر میرمحمدی) and the toyshop of Barzu Raf`ati (برزو رفعتی). Bahai News (Persian), June 3, 2015. Jalayer Vahdat (جلایر وحدت) was released from Vakil Abad prison in Mashhad on May 8, at the end of a five-year sentence for his religious beliefs. He began his sentence on October 24, 2010. He was charged with propaganda against the regime and acting against national security through assembly and conspiracy and membership of Bahai organizations. His father Nosrullah Vahdat (نصرالله وحدت) was executed in 1984. He was charged with having links with the Bahais. His mother also spent several years in prison.